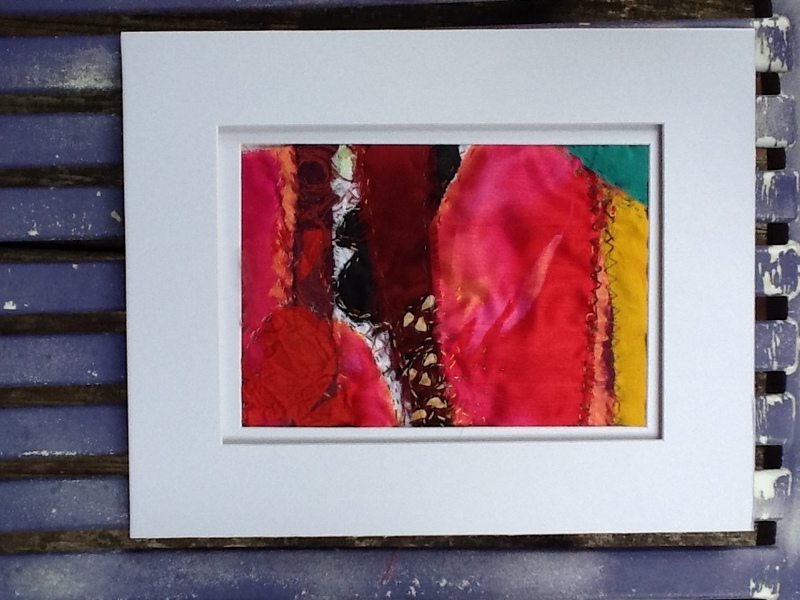 My new silk collage is called Schism. Perhaps I should use the word schismatic adj. & n. (from Greek skihizo to split) as this describes the piece better. I am working with the idea of splitting and tearing : definition tear v. To pull apart or to pieces with some force and tear n. a drop of clear salty liquid secreted by glands from the eye, and shed esp. in grief. For the month of June, 15 of my punch needle pieces are on show at the NC Craft Gallery, in Carrboro. The opening is this Friday, June 13 from 6-8 pm as part of the 2nd Friday Art Walk. If you are in town, come join us!